NATO is reporting the death of an ISAF soldier from a roadside bombing in an undisclosed location in southern Afghanistan on Friday, December 31st. #1-7 Two Iraqi Christians have been killed in a new wave of apparently coordinated bomb attacks in the capital just two months after militants massacred 46 Christians in a church in the city. A total of 14 bombs were placed at different Christian homes late on Thursday, an interior ministry official said on Friday. "Two Christians were killed and 16 wounded" by the 10 bombs that went off, while security forces were able to carry out controlled detonations of four other devices, the official said. #1: The only deadly attack was in the central district of Al-Ghadir, where a home-made bomb exploded at around 8:00 pm (1700 GMT), killing the two Christians and wounding three others. #2: Most of the 14 bombs, which targeted Christian homes in a total of seven different areas of the city, were in Karrada in central Baghdad, the official said. Three devices wounded three Christians in that area, while all four of the controlled detonations were also in Karrada. #3: Another bomb targeted a house in Al-Ilam neighbourhood in southern Baghdad, wounding one person. #4: two bombs wounded four people in Dora in the south of the city. #5: one bomb in Saidiya, also in the south, wounded two people. #7: also in the west of the city, was targeted by a bomb that wounded two people. #1: Insurgents threw hand grenades into two homes in a Taliban provincial heartland Friday, killing a child and wounding six civilians. The Kandahar governor's spokesman, Zelmai Ayubi, said authorities were investigating why the two houses in Zhari were targeted in Friday's attack. Ayubi said the child was killed by the blast in one house, while those wounded in the second included another child and a woman. #2: NATO said Friday that several insurgents and a child had been killed in fighting during a joint operation with Afghan forces targeting a Taliban logistics officer in a compound in Wardak province east of Kabul the previous day. The joint force came under fire Thursday from the compound and fired back, killing several insurgents, it said in a statement, without specifying how many. But it said the force found an injured child while securing the compound, and despite evacuating it to a NATO hospital, the child died of its wounds. #3: To the north in Kunduz province, a joint force killed an insurgent and detained several suspects during an operation against a militant believed to make roadside bombs and suicide vests, and to use anti-aircraft guns against NATO and Afghan forces, the coalition said. #4: At least two Australian soldiers have been injured in an attack by Taliban militants in the south Afghanistan province of Uruzgan, local officials say. The soldiers were diffusing an explosive device in the provincial capital of Trinkut on Friday when they came under attack, a Press TV correspondent reported, quoting local officials. The Australian Defence Force said the first digger was wounded by 'a single shot fired from an unknown location and direction' on Thursday at about 5.12pm (AEDT). The second was hit by the shooter a short time later while securing a landing zone for an aero medical evacuation. #5: A blast badly damaged a Nato oil tanker in the bordering town of Chaman in Balochistan on Friday. Official sources said unidentified people had planted an explosive device on the rear of the tanker. The device went of with a huge explosion when it reached near border with Afghanistan. Tanker caught fire because of blast. One person sustained injuries as fire also engulfed a nearby car. #6: 'Two policemen were killed and two others injured when Afghan forces raided an important Taliban centre,' Faiz Mohammad Tawhidi, spokesman for the provincial governor, told the German Press Agency dpa. The raid was conducted by the police on Thursday night in Khoja Bahawodin district in the northern province of Takhar. 'Six suspected insurgents were detained in the operation,' he said. #7: One passerby was killed and one wounded in a roadside bomb blast in the northwestern town of Lakki Marwat, police said. The blast took place near towns police headquarters. Disappearances With Reported Ties to Pakistan Worry U.S.
#1: Chief of al-Madaen Criminal Court was wounded on Wednesday by a sticky bomb in southern Baghdad, according to a security source. “Judge Ahmad Baroud was seriously wounded when a bomb, stuck to his private car, went off in central al-Madaen market, southern Baghdad,” the source told Aswat al-Iraq news agency. 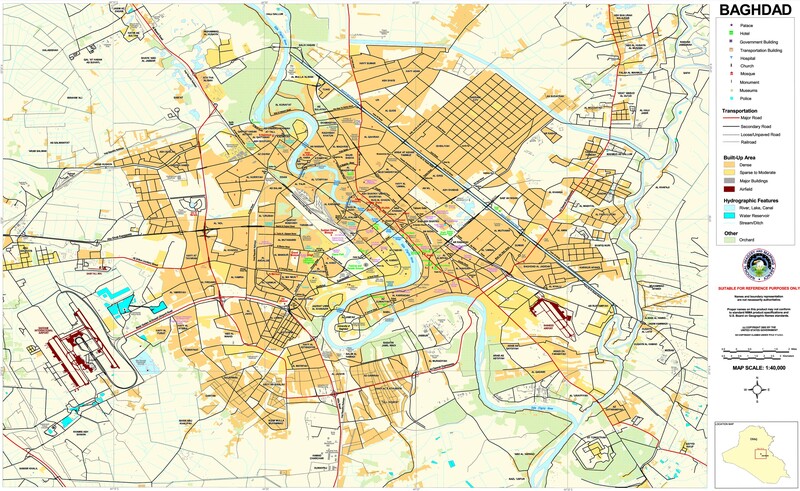 #2: “Two Katusha rockets fell early on Thursday, first close to al-Zawraa Court in west Baghdad’s Mansour District, and the other on a square, not far from the same area, wounding five civilians and causing damage to a number of cars and nearby shops,” the security source told Aswat al-Iraq news agency. #3: A roadside bomb wounded two civilians when it went off in Baghdads southern Doura district, police said. #4: Armed men using silenced weapons attacked a police patrol in Baghdads western Amiriya district, wounding two policemen, police said. #1: A bomb attached to the car of a local judge wounded him when it went off in Salman Pak, 30 km (20 miles) southeast of Baghdad, an Interior Ministry source said. #1: Gunmen killed a man in the garden of his house in northern Kirkuk, 250 km (155 miles) north of Baghdad, police said. #1: Afghan and foreign forces killed at least five Taliban insurgents in assaults in Afghanistan's Tora Bora mountains, the former hideout of al- Qaida leader Osama bin Laden, Afghan police and NATO officials said on Wednesday. Insurgents had recently begun gathering in the remote Tora Bora area in the province of Nangarhar, on the border with Pakistan, to prepare attacks on Afghan and NATO troops, said provincial police chief Ali Shah Paktiawal. Afghan security forces and troops from the NATO-led International Security Assistance Force (ISAF) were conducting operations throughout the area to root out the insurgents, he said. Paktiawal said the attack killed at least five, and possibly seven, insurgents and took place in the Pachir wa Agam district of Nangarhar province overnight. ISAF said in a statement that an air strike had killed five insurgents in Pachir wa Agam, through which the Tora Bora mountains stretch. The strike was ordered against a "senior leader" believed to be responsible for planning and conducting attacks against Afghan and foreign troops. #2: A roadside bomb blew up next to a minibus at a crowded intersection on a major highway in southern Afghanistan on Thursday, killing at least 14 civilians, officials said. The blast struck the minibus in the Lashkar Gah-Sangin district in Helmand province on the main road running from the city of Kandahar to Herat, said Daoud Ahmadi, a spokesman for the Helmand governor's office. He said four others were wounded in the blast and that the dead included women and children. #3: In an attack on one of the few calm provinces, the Taliban fired two rockets into Bagram Air Field, the main U.S. base in Afghanistan. Master Sgt. Jason Haag, a NATO spokesman in Kabul, said "two indirect fire" hit Bagram. #4: US forces clashed with terrorists in eastern Afghanistan on Wednesday, fending off a Taliban assault for the second time in as many days. US soldiers came under small arms fire on Wednesday morning as they set up a combat outpost in Kunar province, near the Afghanistan-Pakistan border. The terrorists fired from a hillside and the US troops returned fire with rifles and artillery. #5: A Pakistani government official say helicopter gunships pounded a militant hideout in the country's northwest, killing at least 20 suspected insurgents. Jamil Khan says the army launched the strike Thursday morning in the Chinarak area of the Kurram tribal region after receiving intelligence reports about insurgents gathering there. He says the choppers also destroyed an explosives-laden vehicle. Kurram is located near the Afghan border. Many Taliban militants escaping a Pakistan army operation in the nearby Orakzai tribal region are believed to have fled there. #7: Gunmen attacked two trucks carrying fuel for NATO forces in Afghanistan in Pakistan&apos;s southwestern Baluchistan province, killing a driver, a senior government official said. The British MoD is reporting the death of a British ISAF soldier from an IED blast in the Lashkar Gah district, Helmand Province, Afghanistan on Tuesday, December 28th. Here's the ISAF release. #1: In a separate incident Wednesday, five civilians were wounded when a roadside bomb hit an Iraqi police patrol in eastern Baghdad, police and hospital officials said. #2: Three civilians have been wounded in an explosive charge blast east of the Iraqi capital of Baghdad on Thursday, according to a Baghdad security source. “An explosive charge blew off on the main road, passing through Palestine Street east of Baghdad on Thursday, wounding three civilians,” the source told Aswat al-Iraq news agency. #3: A government-backed Sahwa militia leader escaped unharmed when a bomb attached to his car exploded in Baghdad&apos;s southern Doura district on Tuesday, an Interior Ministry source said. #1: Three suicide bombers attacked Iraq's federal police headquarters in Mosul on Wednesday, leveling the building and killing the top police commander in the northern city, a prominent figure who had escaped several past assassination attempts, officials said. Police shot one of the attackers in an open-air yard, and his vest exploded — but while the police were distracted by the blast, the other suicide bombers charged into the police headquarters building, police said. One of the bombers entered the ground floor office of the battalion's commander, Lt. Col. Shamil Okla Ahmed al-Jabouri, where he was sleeping, and blew himself up, killing al-Jabouri instantly, a police officer at the scene said. The other bomber detonated his explosives-laden vest on the ground floor of the building shortly after the first blast, police said. The twin explosions were so powerful that they brought the police headquarters down, burying the slain commander and possibly others under the rubble, police said. Hospital officials in the city, located 225 miles (360 kilometers) northwest of Baghdad, confirmed the fatality and said they've treated one policeman who was wounded in the blast. Morgue officials in the city said they have not received any bodies. #2: “One army soldier was wounded in a bomb explosion that targeted an army vehicle patrol in western Mosul,” the source told Aswat al-Iraq news agency. #3: An off-duty soldier was killed on Tuesday in a sticky bomb explosion in south of Mosul, according to a security source. “A bomb, stuck to a private car, went off in al-Jadaa village, south of Mosul, killing an off-duty army soldier,” the source told Aswat al-Iraq news agency. #4: Police forces on Tuesday foiled a rocket attack on a residential neighborhood in western Mosul, a source from the federal police said. “A force from the Mosul brigade of the federal police defused on Tuesday (Dec. 28) a Katyusha rocket in al-Resala neighborhood in western Mosul,” the source told Aswat al-Iraq news agency. 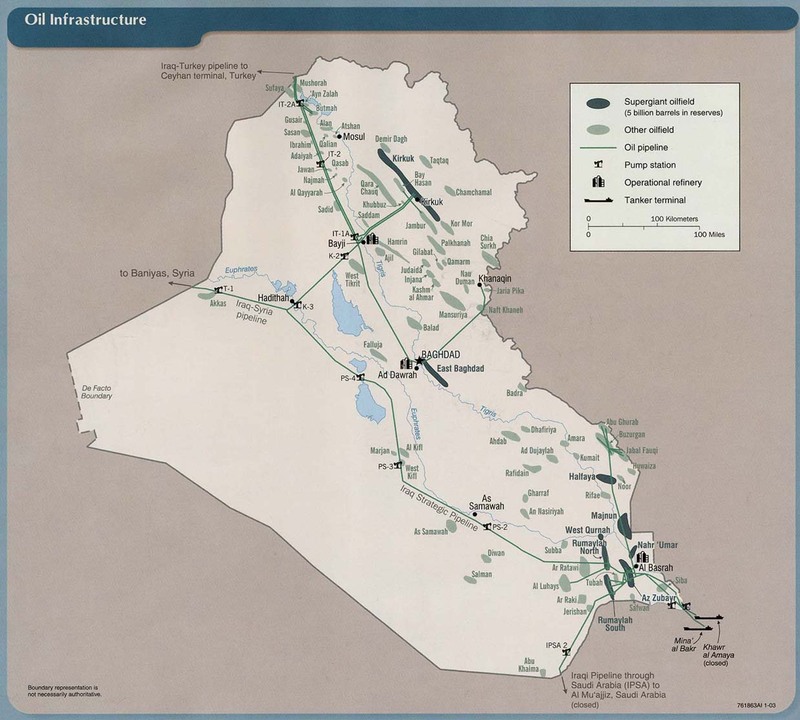 #1: “An explosive charge blew off close to a fuel filling station in Garma township east of Falluja city, wounding two civilians,” the security source told Aswat al-Iraq news agency. #1: Taliban militants in northwest Pakistan attacked two NATO supply trucks early Wednesday, killing a driver and wounding two other people, officials said. Half a dozen militants armed with assault rifles launched the attack in Landikotal, a town in Pakistan's tribal district of Khyber on the border with Afghanistan, the officials said. The militants started firing from the hilltop. A driver of one truck was killed on the spot, while his helper and another driver of another truck were injured,” local administrative official Iqbal Khatak told AFP. Intelligence officials said the militants fled after the attack, and confirmed that the trucks were carrying goods for NATO troops in Afghanistan. #2: The governor of Afghanistan's eastern Paktika province says an Afghan army soldier has been killed in a suicide bombing. A statement released Wednesday from the governor's office said that two other soldiers and five civilians were also wounded in the attack, which occurred on Tuesday in the province's Barmal district. The statement offered no other details. #3: Four suspected Taliban fighters were killed and 10 others detained in an operation in northern Afghanistan, an official said Wednesday. The operation, carried out by Afghan and international forces, began Tuesday morning in Gortipa, an area in Kunduz city, the capital of the province of of the same name. 'Four insurgents including two Chechen and one Tajik fighter were killed in the operation,' Abdul Rahman Sayedkhili, the provincial police chief, told reporters. Ten other suspects had been detained, he said. 'Afghan, German and US forces are taking part in the ongoing operation,' he said, adding that one Afghan policeman was injured in the offensive. The forces were fighting a group of 25 Taliban fighters in the same area, Sayedkhili said. #4: Military helicopter gunships attacked Taliban positions in the northwestern Kurram region on the Afghan border, killing seven militants and destroying two hideouts, a senior military official in the region said. There was no independent verification of the death toll. Militant groups often dispute official casualty figures. The DoD is reporting a new death unreported by the military. Lance Cpl. Kenneth A. Corzine died Friday, December 24th. He was originally wounded during combat operations in Helmand province, Afghanistan on Sunday, December 25th. NATO is reporting the death of an ISAF soldier from an IED blast in an undisclosed location in southern Afghanistan on Tuesday, December 28th. Hospital at Camp Ashraf attacked by Iraqi forces: TV . #1: An Iraqi Foreign Ministry employee has been injured in an improvised explosive device (IED) blast that blew off in his car west of Baghdad on Tuesday, a Baghdad security source said. “An IED, stuck by unknown armed men to the car of an Iraqi Ministry employee, blew off in west Baghdad’s Qadisiya district, when he was on way to his work at the Ministry, wounding him and causing material damage to his car,” the source told Aswat al-Iraq news agency. #2: An Iraqi Parliament employee has been killed by unknown gunmen when he drove his car close to the Iraqi Museum building in central Baghdad’s Alawi district on Monday night, according to a Baghdad security source on Tuesday. “A group of unknown armed men opened fire from silencer-pistols on Monday night on an Iraqi Parliament employee close to the Iraqi Museum in central Baghdad, killing him on the spot. #1: In eastern Iraq, a roadside bomb struck a minibus carrying passengers while moving in southern Baquba, the capital city of Diyala province, some 65 km northeast of Baghdad, killing a four- year-old girl and wounding a man and a woman, a source from Diyala 's operations command told Xinhua on condition of anonymity. #1: A powerful explosion, nature of which was not known, has aimed a U.S. Army patrol close to northwest Iraq’s Shiite holy city of Najaf, according to eyewitnesses on Tuesday. “The explosion, nature of which was not known, has aimed a U.S. Army patrol, passing through the main highway of the so-called “Bahr al-Najaf” Desert, connecting the Shiite holy cities of Najaf and Karbala, with Iraq’s southern provinces, on Tuesday,” the eyewitnesses told Aswat al-Iraq news agency. The eyewitnesses did not give any details about the nature of the attack or whether it had caused any human or material losses by the U.S. Army patrol. #1: In the western part of Mosul, five Iraqi police were killed and three others wounded when a car bomb targeted their patrol. #2: Meanwhile, Iraqi security forces said they killed three gunmen and arrested seven others in a security operation in the eastern part of Mosul, located some 400 kilometres north of Baghdad. The sweep was aimed at 'hunting down armed groups in the village of al-Buraq, east of Mosul,' said a security source. #3: A Katyusha rocket killed 30 sheep in southern Mosul on Monday, according to a security source. “The rocket hit al-Ghazlani region, southern Mosul, killing 30 sheep, but caused no human casualties,” the source told Aswat al-Iraq news agency. #4: The Director of northern Iraq’s Zummar town of Ninewa Province has escaped an assassination attempt on Monday, according to a Ninewa security source. “Zummar township’s Police Director, in northwest Mosul, Brigadier Khudhier Ahmed Sallo, has escaped an assassination attempt, when his motorcade passed through the main road, connecting Mosul with Fuleifil town, 30 kms to the north of Mosul,” the security source said, adding that the attack had caused no casualties. #1: An Iraqi soldier has been killed and another soldier injured in an armed attack against an Army patrol in northern Iraq’s Talaafar town on Monday night, according to a Ninewa security official. “A group of armed men have launched an attack against a patrol, belonging to the Iraqi Army’s 3rd Division in al-Salam area, north of Talaafar town, 60 kms to the northwest of Mosul, the capital of north Iraq’s Ninewa Province on Monday, killing a soldier and seriously wounding another soldier, who was driven to the nearby Talaafar Hospital for treatment,” the security official told Aswat al-Iraq news agency. #1: Afghan police defused a motorcycle bomb that was meant to go off in the troubled southern city of Kandahar shortly after a suicide car bombing there killed three and wounded 26 people, most of them police, authorities said Tuesday. Police found the explosives-laden motorbike Monday at a busy intersection in the center of the city, the Interior Ministry said in a statement, about a mile (1.5 kilometers) from where the suicide bomber struck near a police compound and a bank in central Kandahar. #2: On Tuesday, gunmen killed an employee at the Kandahar mayor's office as the man was walking in the street, deputy police chief Fazel Ahmed Sherzad said. No further details were immediately available, but people working for local governance have been targeted in the past. In April, gunmen shot dead Kandahar's deputy mayor as he knelt for evening prayers in a mosque. #3: Two suspected U.S. missile strikes targeting the same building killed eight people in a region near Afghanistan today, including at least two people who were retrieving bodies from the first attack, Pakistani intelligence officials said. The first strike today hit a house in the Ghulam Khan area of North Waziristan, killing six, two Pakistani intelligence officials said. They spoke on condition of anonymity because they are not authorized to speak to the media. The officials did not know the identities of those killed but said they were militants. About three hours later, as people went to the site to pick up the bodies, more missiles hit the same spot. The intelligence officials said civilians may have been among those killed in the second strike. #4: The US-led NATO headquarters in Afghanistan have announced the killing of at least 10 militants by its soldiers in a face-to-face fire fight in south and northeast Afghanistan. According to a NATO statement, the Taliban militants were killed in Helmand and Kapisa provinces over the past 24 hours. Although NATO asserted that its forces were unharmed, a Taliban spokesman claimed that several NATO troops were also killed during the clash. #5: A civilian and a militant were killed in northern Afghanistan when the Taliban's own bomb accidently exploded, an official said Tuesday. The incident took place Monday night in the northern province of Baghlan when a number of Taliban insurgents were taking refuge in a house in the Baghlan-e-Markazi district. 'An older man and a Taliban fighter were killed and six other insurgents were wounded by the rebels' own bomb,' district Governor Amir Gul said. #6: Gunmen killed a pro-government tribesman in the southern city of Karachi, police said. Qadir Khan, a resident of South Waziristan, had helped security forces to fight al Qaeda-linked militants in the rugged mountainous region before moving to Karachi. NATO is reporting the death of an ISAF soldier from an IED blast in an undisclosed location in southern Afghanistan on Monday, December 27th. #1: An Iraqi police officer, with a major rank, has escaped an assassination attempt on Monday, when an explosive charge planted by unknown gunmen, blew off close to his house in southwest Baghdad, according to a security source. “An explosive charge blew off in front of the house of a police officer with a major rank in southwest Baghdad’s Saydiya district on Monday, wounding the officer and a civilian, and causing huge damage to the offficer’s house and his car,” the security source said. #2: An Iraqi civilian and a security element have been injured in an attack by unknown gunmen west of Baghdad on Monday, a security source said. “A group of unknown armed men have opened machinegun fire on an Interior Ministry vehicle, wounding its driver and a civilian who was driving his car close to west Baghdad’s Yarmouk Hospital on Monday,” the security source told Aswat al-Iraq news agency. Gunmen using silenced weapons wounded two police officers when they opened fire on the Interior Ministry&apos;s anti-crime department in Baghdad&apos;s west-central Yarmouk district, an Interior Ministry source said. #1: An Iraqi Army officer has been killed and three soldiers were injured in an Improvised ExpLosive Device (IED) blast in Baaquba, the center of northeast Iraq’s Diala Province, on Sunday, according to a Diala Security source. “An IED blew off on Sunday night against an Iraqi Army vehicle on the main highway connecting Baaquba with Khalis township, 15 kms to the north of the city, killing an Army officer, with a major rank, and wounding three soldiers,” the security source told Aswat al-Iraq news agency. #1: An Iraqi women has been killed and a civilian wounded in an exposive charge blast aimed at a U.S. Army patrol in Salahaddin Province on Monday, a police source said. “An explosive charge, planted on the roadside, had blown off against a U.S. Army patrol in Dujail township, 110 kms to the south of Tikrit, the center of Salahaddin Province, killing a woman and wounding a civilian,” the police sourc said. #1: Two suicide bombers, wearing two explosive belts, have been killed by a military force belonging to Samarra city’s military operations command on Sunday, a command source said. “A military source, belonging to the said command, had killed two suicide bombers, wearing explosive belts, close to a checkpoint in Samarra’s Armoushiya area on Sunday, the source told Aswat al-Iraq news agency on Monday. He said the suicide bombers refused to obey orders by the checkpoint’s soldiers to stop, forcing the soldiers to open fire on them, causing the explosion of their explosive belts, killing them both, away from the checkpoint. #1: Two suicide bombers have killed at least 14 people in the Iraqi town of Ramadi, say officials and police. The attacks were the second targeting a government compound in Ramadi, the capital of Anbar province, this month. Reports suggest one bomber blew up a vehicle, and minutes later another detonated an explosives vest as people gathered at the scene. At least four police of those killed were police officers. At least 47 people have been wounded. 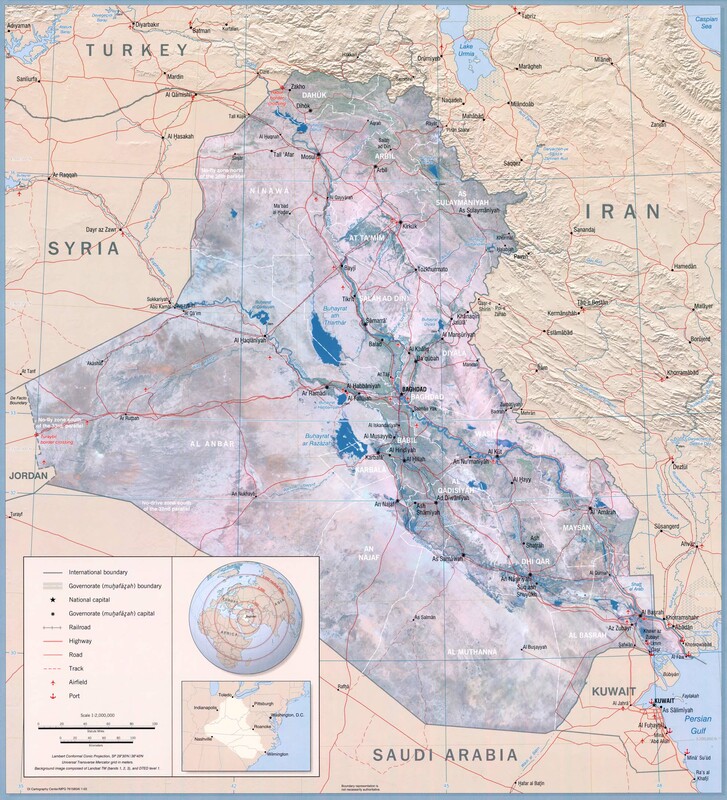 "A car bomb exploded near the Anbar provincial government offices around 0930 (0630 GMT) followed about 15 minutes later by a suicide bombing," said a police spokesman, Major Rahim Zabin, according to AFP news agency. #1: Suspected U.S. missiles struck two vehicles in a Taliban stronghold on Pakistan's side of the border with Afghanistan on Monday, killing 18 alleged militants, Pakistani intelligence officials said. The six missiles fired Monday struck the vehicles in the Shera Tala village of North Waziristan. Shera Tala lies in Mir Ali district, where militants are heavily concentrated. The exact identities of the 18 dead were not immediately certain. The vehicles were apparently leaving a compound, and one was carrying a large load of ammunition, magnifying the blasts from the missile strikes, the intelligence officials said. #2: A car bomb exploded in the heart of the southern city of Kandahar on Monday, killing three people, an Afghan policeman at the scene said. The blast also wounded 26 people, most of them policemen, officials said. The car detonated at midday near a police compound and a branch of Kabul Bank in the crowded center of the city, said policeman Noor Mohammad, who was guarding the bank. #3: Two NATO helicopter gunships violated Pakistan's air space in its northwest border area Monday morning, reported local English TV channel Express.According to the report, the helicopters penetrated into the Pakistani territory near Torkham and remained there for about five minutes before they returned to Afghanistan.No firings have been reported.Such incidents occurred several times in the last few months. #4: Pakistani militants have attacked a NATO supply truck carrying commodities for the US-led forces stationed in Afghanistan and killed its driver. Officials told Press TV that late on Sunday, unknown armed militants opened fire on the vehicle in Mastung, a town in the southwestern province of Balochistan. The NATO truck was damaged in the attack, they further explained. The truck was on its way from Karachi city to Kandahar in Afghanistan and was carrying goods for the NATO forces stationed in the war-torn country. The attackers escaped from the area just after the attack. #5: Intelligence officials and tribal elders say the Pakistani Taliban have kidnapped 23 tribesmen who recently met the army chief. Taliban spokesman Azam Tariq says the abductions are a warning to civilians that the militants are still strong in South Waziristan, despite an ongoing military offensive. The abductees were part of a group that welcomed army chief Gen. Ashfaq Parvez Kayani to South Waziristan Dec. 7. Intelligence officials say the militants lured the victims to a town bordering North Waziristan and then kidnapped them. #6: authorities found the body of a tribesman killed by suspected militants in the region (North Waziristan region) on suspicions of spying for the United States. A written note lying near the body said that "anyone found to be spying for America will meet the same fate"
Attackers with automatic weapons assault the car of Interior Ministry official Brigadier Shamil Dawoud, injuring Dawoud and his driver. Iraqi forces kill a man in a gunfight near a checkpoint. Egyptian Foreign Minister Ahmed Aboul-Gheit visits Kurdistan to mark the opening of a consulate in Irbil. Before leaving Egypt, he reiterates Egypt's desire to see all U.S. forces leave Iraq on schedule. U.S. International Relations expert Paragh Khanna predicts Kurdish independence by 2016. Four Turkish engineers and their Afghan driver are kidnapped in Paktia. Afghan government spokesman says the U.S. violated a security agreement when it raided a private security company on Friday, killing two people. "Spokesman Zemarai Bashary said the police general who helped them has been suspended and an investigation was under way into why coalition forces on Friday raided the compound of Tiger International, an Afghan private security company, killing two guards and wounding two others." The Afghan government has formal responsibility for security in Kabul. The Australian Federal Police are said to be providing intelligence used to direct U.S. commandos in capture-or-kill raids on individuals, according to cables provided to WikiLeaks. Iran says it will lift the blockade of oil shipments to Afghanistan, which has caused an increase in fuel prices. The Iranians had claimed the fuel was being used to supply U.S. forces. It is actually purchased from other Middle Eastern countries, but transported by tanker truck through Iran. #1: Four persons, including three policemen, have been injured in an explosive charge blast north of the Iraqi capital of Baghdad on Saturday, a Baghdad security source said. “An improvised explosive charge (IED), planted on the roadside close Abdul-Muhsin al-Kadhimy Square in northern Baghdad’s Kadhimiya district, blew off against a police patrol, injuring 4 persons, including 3 policemen,” the security source told Aswat al-Iraq news agency. #2: “A group of armed men, driving a fast car, opened machinegun fire on an Iraqi Army checkpoint, close to a court in soutwest Baghdad’s Bayaa district, wounding two soldiers,” the security source told Aswat al-Iraq news agency. He said that eyewitnesses gave the description of the car, which the armed men used in the attack, before they escaped, in order to chase the vehicle up and detain the attackers, whilst the two wounded soldiers were driven to the nearby Yarmouk Hospital for treatment. #1: A female suicide bomber detonated her explosives-laden vest killing at least 41 people at an aid distribution centre in northwestern Pakistan on Saturday. The bomber struck in the main city in Bajur, a region near the Afghan border. In Bajur, the bomber, dressed in a traditional women's burqa, first lobbed two hand grenades into the crowd waiting at a checkpoint outside the food aid distribution centre in the town of Khar, local police official Fazal-e-Rabbi Khan said. The attacker then detonated her explosives vest, he said. Local government official Tariq Khan said the blast also wounded 60 people, some of them critically, of about 300 who were at the scene. #2: An official says Pakistani army helicopter gunships and artillery have killed 40 more Islamist militants in the second day of large-scale fighting near the border with Afghanistan. The fighting started yesterday in the Mohmand tribal region, when some 150 militants attacked five security posts in an unusually large and coordinated assault. The attack sparked an hours-long battle that killed 24 insurgents and 11 soldiers. #3: A German development worker was killed by insurgents in northern Afghanistan on Friday night. Development Minister Dirk Niebel described the killing as a "cowardly attack." The aid worker, an adviser for German development bank KfW, was fatally injured when the vehicle he was travelling in was shot at. Four people were in the vehicle, a Development Ministry statement said. An Afghan travelling with him was also injured. #4: Afghan and coalition forces killed two insurgents during two separate night raids targeting the Haqqani and Taliban networks in eastern Khost and Logar provinces on Friday, the NATO-led International Security Assistance Force (ISAF) said. #1: Unknown gunmen killed a surgeon in western Baghdad, a security source said on Friday. “Unknown gunmen killed Dr. Ali Ismail, a surgeon while driving his own car in al-Adl neighborhood, western Baghdad, late Thursday (Dec. 23),” the source told Aswat al-Iraq news agency, noting that they used guns with silencers and fled to unknown place after the attack. #2: The cousin of Sheikh Harith al-Dhari, the secretary-general of the Sunni Association of Muslim Scholars (AMS), was assassinated by unidentified gunmen in western Baghdad city on Thursday, a security source said. “Unknown gunmen opened fire on Sheikh Fareed Abdulkareem al-Dhari in the area of Khan Dhari, western Baghdad, killing him instantly,” the source told Aswat al-Iraq news agency. #1: The same day, four members of the Sahwa militia which opposes Al-Qaeda, including a leader, were wounded by a bomb while driving in Al-Muqdadiya, northeast of Baghdad, police said. #1: Two houses were blown up on Friday south of Baghdad, killing five people, including three children, and wounding four other people, Iraqi police said. 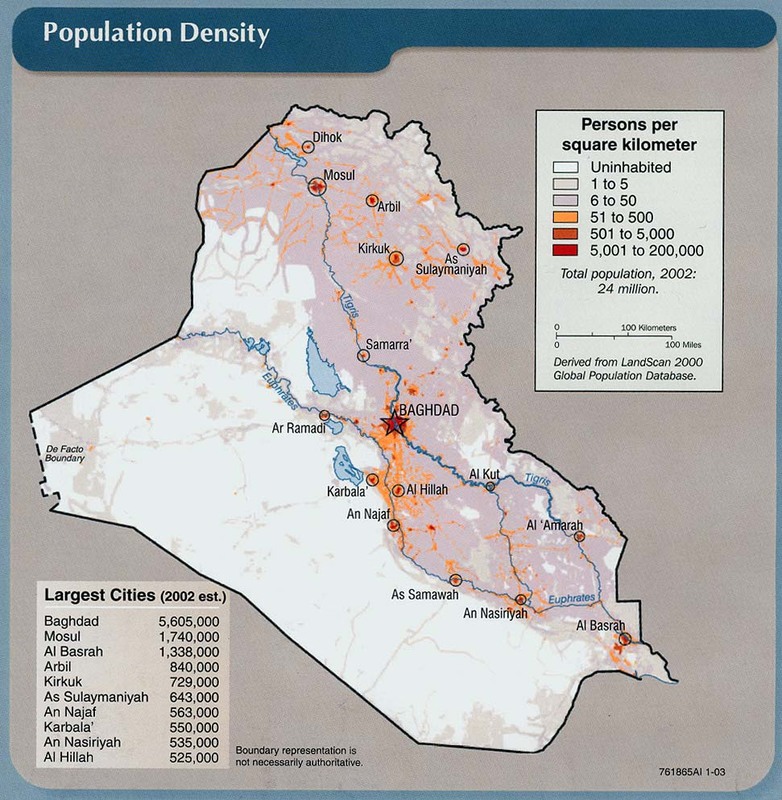 The pre-dawn attacks occurred within four hours of each other in Qariya al-Asriya near Iskandiriya, a city considered an Al-Qaeda stronghold before the militants were pushed out by Iraqi and American forces in 2008. Police said among those killed were a man, a woman and three children -- one of them a one-year-old -- and the wounded included a woman, a young man, and two children. #1: “An IED went off near a U.S. military convoy in al-Mahaweel district, (16 km) northern Hilla. Possible casualties or losses could not be known as the area of cordoned off and all roads leading to the blast site blocked,” the source told Aswat al-Iraq news agency. #1: Also on Friday, gunmen killed two policemen and burned their vehicle in an ambush in the city of Samarra, north of the Iraqi capital, police said. "Two members of the federal police were carrying out a patrol in the Qadissiya area when they were stopped and killed by unknown assailants carrying automatic weapons," said a police official, on condition of anonymity. The attackers "then burned the (police) vehicle with the driver still inside and the other outside. They managed to escape," the official said. #1: In the north, two policemen were killed and four soldiers injured when bombs went off targeting their separate patrols in Tikrit city. #1: Some 150 militants attacked five security posts in Pakistan's tribal area near the Afghan border overnight, sparking a clash that killed 11 soldiers and 24 insurgents, officials said Friday. The fighting in the Mohmand tribal area shows that insurgents in the region retain significant ability to coordinate and mount complex assaults, despite multiple military offensives against Taliban and al-Qaida fighters in Pakistan's northwest. The top government official in Mohmand, Amjad Ali Khan, said 11 soldiers died in the fighting, while a dozen were wounded. The troops called in helicopter gunships to help push back the militant fighters, said Maj. Fazl Ur Rehman, a spokesman for the Frontier Corps security force. The fighting ended by morning. Information from Pakistan's tribal regions is nearly impossible to verify independently because access is restricted and the conflict zones are dangerous. #3: Foreign troops raided a compound belonging to a private security firm in Afghanistan's capital, killing two Afghan guards and seizing weapons, an Afghan government spokesman said on Friday. The raid took place overnight and involved a unit from the NATO-led International Security Assistance Force (ISAF), said Interior Ministry spokesman Zemari Bashary. ISAF declined to comment on the raid and directed inquiries to Afghanistan's National Directorate of Security, whose head reports directly to President Hamid Karzai. The directorate also declined to comment. Bashary said two Afghan guards were killed and three wounded in the raid, which he said was not co-ordinated with Afghan troops. He said the incident was being investigated, but did not provide further details. #4: An explosion rocked Khost city the capital of Khost province in east Afghanistan on Friday, casualties feared, an official said. National Guard (In Federal Status) and Reserve Activated - This brings the total National Guard and Reserve personnel who have been activated to 92,860, including both units and individual augmentees. #1: Gunmen with silenced weapons raked an army brigadier general's car with gunfire in a Baghdad street, killing him and wounding his daughter, defence and interior ministry officials said today. The attack took place last night in the Mansour district of the capital, the officials said.They named the victim as General Imad Hasham of the army's sixth division. #2: In another attack last evening, gunmen also with silenced weapons shot and wounded police Lieutenant Colonel Majid Hamid as he was driving through the Amiriya area of Baghdad, the officials said. 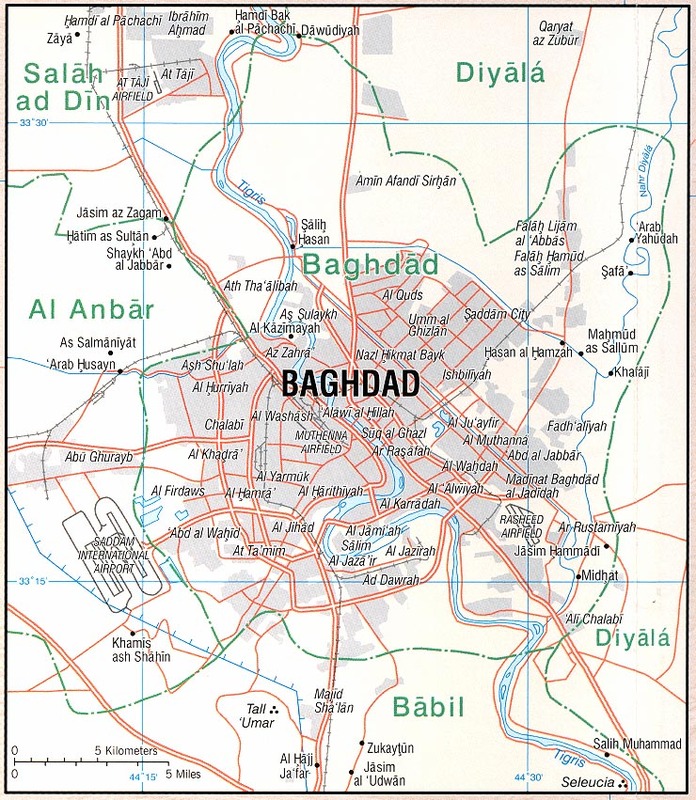 #3: Three persons have been injured, among them a policeman, in two explosive charges blasts east of Baghdad on Thursday, according to a Baghdad security source. “Two explosive charges blew off against an Iraqi Federal Police patrol, close to A petrol filling station in east Baghdad’s al-Sadr city on Thursday, wounding two civilians and a policeman, and causing damage to several cars,” the security source told Aswat al-Iraq news agency. #1: One gunman was seriously wounded in a bomb explosion on Thursday in western Kut, according to a source from the Wassit police department. “An explosive charge went off inside a house in al-Falahi neighborhood, western Kut, injuring the gunman who was attempting to make it,” the source told Aswat al-Iraq news agency. #2: “A roadside bomb exploded near a civilian car in al-Aza neighborhood, western Kut, damaging the car,” the same source said. “The explosion left no casualties,” he added. #1: An army soldier was wounded on Thursday by an improvised explosive device in southwest of Kirkuk, according to local police chief. “An improvised explosive device went off Thursday (Dec. 23) targeting a vehicle patrol of the 12th division of the army near al-Rashad district, southwest of Kirkuk, injuring a soldier,” Brigadier Sarhad Qader told Aswat al-Iraq news agency. #1: One policeman was killed by gunmen in eastern Mosul on Wednesday, according to a security source. “Unknown gunmen working for the customs was killed this evening by gunmen in al-Quds neighborhood, eastern Mosul,” the source told Aswat al-Iraq news agency. “The cop is from Talafar residents, western Mosul,” he added, without giving more details. #1: A suicide bomber blew himself up at a checkpoint in the northern Afghan city of Kunduz Thursday, killing one police officer, officials said. The blast, which struck early in the morning in the center of the city, also wounded three civilians, said Kunduz province police chief Abdul Rahman Sayedkhaili. #2: A Taliban leader accused of involvement in Kabul suicide bombings at the weekend has been killed in a NATO airstrike in central Afghanistan, the alliance said Thursday. The airstrike killed Abdul Hai and two of his associates Wednesday as they were trying to plant a bomb on a road in the Waghaz district of Ghazni province, NATO said in a statement. #3: Two senior local officials in northern Afghanistan say a NATO helicopter has opened fire on a convoy of cars, killing a police officer and a civilian. Faryab province police chief Khalil Andarabi and the governor's spokesman, Ahmad Jawed Bedar, say the convoy was headed to a lunch near the provincial capital of Maimana when its was strafed by a NATO helicopter. They identified the civilian killed as Mohammad Aminuddin, the brother of former parliament member Sarajuddin Mozafari. Andarabi said two policemen and one civilian were also wounded in the strike. #4: Afghan forces backed by NATO-led troops killed six Taliban fighters and arrested another in the eastern Ghazni province 149 km from capital Kabul on Thursday, an army officer Daud Shah Wafadar said. "The troops raided a Taliban hideout in Andar district in the wee hours of today killing two rebels, while four others were killed by the troops when they were planting a mine on a road in the district to target security forces," Wafadar told Xinhua. The British MoD is reporting the death of a British ISAF soldier from a roadside bombing in the Nahr-e Saraj district, Helmand province, Afghanistan on Tuesday, December 21st. Here's the ISAF release. #1: Two policemen and a civilian were wounded in a bomb explosion in central Baghdad, according to a security source. “An improvised explosive device went off on Tuesday targeting a police vehicle patrol in al-Tahrir square, central Baghdad, injuring two policemen and a passing civilian and damaging the vehicle,” the source told Aswat al-Iraq news agency. #2: An employee of the Shiite endowment divan was wounded on Tuesday by gunmen in northern Baghdad, according to a security source. “Unknown gunmen opened fire on the employee, Ali Abbas Ali, while driving his car in Malek al-Ashtar square in al-Khadimiya region, northern Baghdad,” the source told Aswat al-Iraq news agency. “The attack seriously wounded the victim, who was sent to the al-Khadimiya hospital for treatment,” he added, without giving further details. #3: “A group of armed men have launched a machinegun attack on a group of soldiers, among Central Baghdad’s Muthanna Airport’s guards, who have been carrying their duty, killing one of them and wounding three others, and the wounded ones were driven to a hospital for treatment,” the security source told Aswat al-Iraq news agency. #4: The security source also said that a group of unknown armed men have assassinated an employee working for the Iraqi Health Ministry’s Commission for Medical Specializations, close to his house in south Baghdad’s Abu-Dushir district on Wednesday. #5: A bomb attached to the car of a senior official at the Ministry of Health wounded him seriously in the Doura district of southern Baghdad, an Interior Ministry source said. #1: The Forensic medicine department in Wassit received on Tuesday a bullet-riddled body in north of Kut, a medical source said. “Al-Zahraa hospital’s morgue received on Tuesday (Dec. 21) the body of a young man in al-Dabouni district, north of Kut,” the source told Aswat al-Iraq news agency. “The corpse bore signs of gunshot wounds to the head and chest,” he added. #1: Two army soldiers were wounded on Tuesday by a car bomb explosion in north of Tikrit, according to a security source.”A car, crammed with explosives, went off in al-Sahel al-Ayman region in al-Shurqat district, north of Tikrit, targeting an army vehicle patrol, injuring two soldiers seriously and setting the vehicle ablaze. #1: A provincial governor in Afghanistan said Wednesday that a battle between NATO and the Taliban the previous day had killed three women and two children, and called on the coalition to "pay attention" to civilian casualties. In Helmand, a Taliban stronghold and scene of some of the heaviest fighting in the war, the provincial governor's office said the five civilians died Tuesday as militants attacked coalition forces in the Sangin district. Seven insurgents were killed in the battle, according to the statement from the governor's office. #2: Two pilots were killed as an army trainer plane crashed in the hill area of southwest Pakistan' s Balochistan province on Wednesday, local TV channels reported. DoD: Pfc. Conrado D. Javier Jr. The DoD is reporting a new death unreported by the military. Cpl. Sean A. Osterman died Thursday, December 16th in Germany from wounds received from an insurgent attack in an undisclosed location in Afghanistan on Tuesday, December 14th. NATO is reporting the death of an ISAF soldier from an IED blast in an undisclosed location in southern Afghanistan on Tuesday, December 21st. #1: “A group of armed men opened fire from silencer guns on an Iraqi Intelligence officer, with a colonel rank, when driving his car close to central Baghdad’s al-Nisour Square late Tuesday night, killing on the spot” the security source told Aswat al-Iraq news agency. #1: A Katyusha rocket hit a house in Kirkuk, causing material damage, while police forces arrested nine wanted men in southwest of Kirkuk, a source from the joint coordination center said on Monday. “The rocket landed on Monday on a house in Baghdad road region in al-Askari neighborhood, southern Kirkuk, causing material damage to the house,” the source told Aswat al-Iraq news agency. #1: Three Libyan gunmen were killed in clashes with Iraqi army forces in Mosul's western neighborhood of al-Resala on Monday, a security source told Aswat al-Iraq news agency. The incident occurred when the 2nd division of the Iraqi army fired back at the gunmen, who threw hand grenades at the soldiers in Mosul, the capital of the northern province of Nineveh. #2: On the same day, gunmen opened fire on the president of Mosul University when he was heading from his house to a mosque in the city's eastern al-Kafaat neighborhood. Saeed al-Diwah was seriously injured in the Monday attack. #3: Meanwhile, a Katusha rocket hit a house in the al-Askari neighborhood of the northern city of Kirkuk. The attack did not cause any casualties. #1: Afghan forces clashed with suspected militants in the northern part of the country, killing four including a foreign fighter, a local official said Tuesday. The fighting in Khawaja Ghar district of Takhar province began on Monday night after soldiers attacked a Taliban hideout in the region, Mullah Mohammad Omar, the district governor, said. Four other insurgents were injured and a fighter from neighbouring Tajikistan was among those killed, he said. #2: The governor of Afghanistan's eastern Kunar province was unhurt in a Taliban ambush but security forces returned fire and killed nine militants on Monday, provincial police chief Khalilullah Ziae said. "A group of militants ambushed the motorcade of Syed Fazalullah Wahidi at around 04:00 p.m. local time today in Nurgul district but the governor was unhurt and no security forces were injured in the attack,"Ziae told Xinhua. The police in retaliation returned fire and killed nine militants on the ground, he added. However, Zabihullah Mujahid who claims to speak for Taliban in talks with media from undisclosed location confirmed the incident but said none of the outfit's fighters had been killed in the gun battle lasted for a while. #3: Clash between police and Taliban fighters left four insurgents dead in northern Takhar province on Monday, a local official said Tuesday. "A group of armed Taliban militants were attempting to disrupt a meeting of local authorities in Khajaghar district yesterday afternoon but police returned fire killing four rebels," district governor Mohammad Omar told Xinhua. Four more militants sustained injuries in the action, he further said. DoD: Cpl. Eric M. Torbert Jr. The DND/CF is reporting the death of a Canadian ISAF soldier from an IED blast in the Panjwa’i district, Kandahar Province, Afghanistan on Sunday, December 19th. Here's the ISAF release. NATO is reporting the death of an ISAF soldier from a non-combat injury in an undisclosed location in northern Afghanistan on Friday, December 17th. NATO is reporting the death of an ISAF soldier from an insurgent attack in an undisclosed location in eastern Afghanistan on Saturday, December 18th. NATO is reporting the death of an ISAF soldier from an IED blast in an undisclosed location in southern Afghanistan on Saturday, December 18th. NATO is reporting the death of an ISAF soldier from an IED blast in an undisclosed location in southern Afghanistan on Sunday, December 19th. #1: “An explosive charge, planted in a civilian car, parked close to Kamal Al-Samarrae Hospital in central Baghdad’s Andalus Square, blew off on Monday, wounding three persons that were in the car, along with causing material damage to the car,” the security source told Aswat al-Iraq news agency. #3: “Another explosive charge blew off in central Baghdad’s Rubei Street, wounding 5 persons among them 3 traffic policemen, who were all driven to a nearby hospital for treatment,” the security source added. #1: Insurgents struck Afghan security forces in Kabul and the north Sunday, killing 13 soldiers and policemen in attacks that show the Taliban’s capability to strike far from their southern strongholds. The attacks, both claimed by the Taliban, began at daybreak in the northern city of Kunduz, when four militants stormed an army recruitment center. At least two of the insurgents detonated suicide vests, and the remaining fighters battled security forces in a daylong firefight that left four Afghan army soldiers and four police dead, Kunduz deputy police chief Abdul Rahman Aqtash said. #2: In Kabul, two insurgents strapped with explosives ambushed a bus carrying Afghan army officers to work during the morning rush hour on a main road into the city center, killing five and wounding nine, said Defense Ministry spokesman Gen. Mohammad Zahir Azimi. #3: A Pakistani government official says militants have fired rockets at a NATO convoy carrying supplies to Afghanistan, destroying two oil tankers and wounding two people. Iqbal Khan says traffic along the route has been suspended after Monday's attack in the Khyber tribal region. He says two people traveling in the tankers sustained burns when the trucks were engulfed in flames. #4: Defence says the soldiers, from the Mentoring Task Force (MTF-2), were hurt in separate IED (improvised explosive device) blasts in the Baluchi Valley region of Oruzgan province on Sunday. In the most serious incident, an Afghan National Army foot patrol accompanied by Australian soldiers struck an IED. One of the Australians sustained serious blast and fragmentation wounds. The other incident involved an IED strike on a Bushmaster armoured vehicle. The wounded soldier was treated at the scene for suspected internal injuries. He was then flown by helicopter to the ISAF medical facility at Tarin Kowt. #5: Afghan forces backed up by NATO air support killed 15 Taliban militants in the northern Kunduz province on Monday, provincial police chief Abdul Rahman Syedkhili said. "Security forces supported by air power killed 15 armed Taliban rebels in Gortipa village," Syedkhili told a press conference. The operation was launched in the wee hours of Monday and wrapped up at noon also smashing their training center, he said. A depot of arms and ammunition was destroyed during the operation, he added. Two coordinated IED attacks in al-Ghazaliyah, western Baghdad, injure 3 police and 3 soldiers. A civilian is injured by a bomb placed in his car on Palestine Street. An employee of a Kuwaiti satellite channel is injured by a bomb placed in his car. An employee of the state-owned Oil Products Company is assassinated in a drive-by shooting in front of his home. Police find a bullet-riddled corpse behind a garage. PM Nuri al-Maliki will make his nominations for cabinet positions on Monday, but he will not appoint ministers of interior, defence and national security, retaining those portfolios for himself. He says more time is needed to consider appointments to such sensitive posts. Parliament must approve the new government by Saturday. However, Ahlul Bhayt News Agency tells a slightly different story, suggesting that a deal to fill the security posts is in place. We'll have to see. Iraqiya has announced its nominees for high posts as part of the agreement for a national unity government. The spokesperson of the Iraqiya Party, Dr. Shaker Kittab, told KUNA that "all Iraqi leaders agreed on leadership positions and future governmental nominations." He added that his party officially nominated Dr. Eyyad Allawi as a President of the National Council for Higher Policies, Tariq Al-Hashimin as Vice President and Saleh Al-Mutlaq as Deputy Prime Minister after lifting a ban on the three Sunni Muslim politicians who were barred from running in national elections last March after being accused of having ties to Saddam Hussein's ousted regime. Not all the news is good, however, as Christians are fleeing to Kurdistan and seeking asylum abroad in the face of continuing threats and violence. Thousands of Kurds demonstrate in Sulaimaniyah against a ban on demonstrations. I guess the law isn't very effective so far. Militants attack an army recruitment center in Kunduz, killing four Afghan soldiers and four police. Two of the attackers are also dead, but two survivors captured the building and resisted from within. In a later report, "After hours of fighting, the situation has been brought under control but unfortunately seven security personnel were martyred and 14 others sustained injuries," acting provincial governor Hamdullah Danishi told Xinhua." Xinhua also reports two suicide bombers attacked an Afghan army bus in Kabul, killing five and wounding nine. A comparable attack has not occurred in Kabul since May. NATO reports a service member killed in a bomb attack in Southern Afghanistan. After almost a decade, the fix is in and the news is bad. Just as Afghanistan's Hamid Karzai has Barack Obama precisely where he wants him, so too Pakistan has the US leader where it would like to keep him - up against a wall, writing big fat cheques. #1: Four civilians were wounded when an improvised explosive device (IED) targeting a procession of Shiite pilgrims went off south of Baghdad on Friday, a local security source said. “The IED targeted a Husseini procession of Shiites heading for Karbala to celebrate the Ashuraa in al-Zaafaraniya, south of Baghdad, leaving four civilians wounded,” the source told Aswat al-Iraq news agency. #2: Two policemen have been wounded in an explosive charge blast in southern Baghdad’s Abu-Tayara Street on Friday, according to a Baghdad security source. “An explosive charge blew off to wound two policemen, who were driven to hospital for treatment, in southern Baghdad’s Abu-Tayara Street in Daura ditrict on Friday,” the security source told Aswat al-Iraq news agency. #3: Two policemen have been wounded in two explosions in southern Baghdad’s Daura District on Friday, a Baghdad security source said on Saturday. “Two explosive charges blew off against a joint Iraqi federal and local police force in southern Baghdad’s Daura district, wounding four policemen, who were driven to hospitals for treatment on Friday,” the source told Aswat al-Iraq news agency. #1: A policeman and his son were wounded when an improvised explosive device attached to his vehicle went off south of Mosul city on Friday, according to a local security source in Ninewa province. “The IED, attached to the vehicle of the policeman who was on a leave from duty, went off in al-Habboud village, al-Qiyara district, (60 km) south of Mosul, leaving him and his son wounded,” the source told Aswat al-Iraq news agency. #1: A suicide bomber blew himself up Saturday near an armored car carrying a district chief in the southern Afghan city of Kandahar, killing himself and one civilian bystander, Afghan authorities said. The bomber targeted Ahmadullah Nazak's car in a residential and shopping area of the city as the official was traveling to a meeting, said Zalmai Ayubi, spokesman for the Kandahar provincial governor. Nazak was unharmed, but one passer-by was killed and another six people were wounded, Ayubi said. NATO is reporting the death of an ISAF soldier from an IED attack in an undisclosed location in southern Afghanistan on Friday, December 17th. NATO is reporting the death of an ISAF soldier from an insurgent attack in an undisclosed location in eastern Afghanistan on Friday, December 17th. Iraq gets first delivery of attack copters from U.S.
#1: Unidentified gunmen assassinated the former director of the electricity ministry’s information department in Baghdad on Thursday, according to a security source. “Unidentified gunmen opened fire on Aziz Sultan Jassim from silenced guns on Falastine street, eastern Baghdad, killing him instantly and escaping to an unknown place,” the source told Aswat al-Iraq news agency. #1: Two soldiers were wounded Friday by gunmen in western Mosul, according to a security source. “Unknown gunmen opened fire on two soldiers near al-Sham gate in western Mosul, injuring them,” the source told Aswat al-Iraq news agency. #1: Three suspected U.S. drone missile strikes killed 24 militants on Friday in Pakistan's northwestern Khyber region on the Afghan border, intelligence officials said, the fourth attack in two days. The attacks on Friday in Tirah valley occurred within hours of each other. "We have initial reports of some 24 suspected militants killed in three attacks today," one intelligence official in the region said. Another intelligence official confirmed the figure, saying four suspected militants were killed in the third attack. #2: A mortar attack killed at least six people, including women and children in Hangu, police said. The attack also wounded eight others, police said. Mortars slammed into two houses in Hangu, a town that has been a flashpoint for sectarian clashes between Pakistan’s Shia and Sunni Muslim communities. They were fired from the neighbouring district of Orakzai, part of Pakistan’s semi-autonomous tribal areas with Afghanistan. “Mortars were fired from Orakzai and hit two houses in Hangu. Six people were killed and eight injured,” Gul Jamal, a local police official, told AFP. #3: A suicide bomber was killed in Afghanistan's southern Kandahar province Friday when his explosive vest was detonated prematurely, a police official said. "A suicide bomber was killed inside the big mosque in Panjwai district's bazaar when his explosive vest went off prematurely at around 4 a.m. local time," Azam Khan, the police chief of Panjwai district, told Xinhua. NATO is reporting the death of an ISAF soldier from an insurgent attack in an undisclosed location in eastern Afghanistan on Thursday, December 16th. #1: Three civilians were wounded Wednesday in an improvised explosive device explosion in Baghdad, according to a security source. “The bomb exploded on Wednesday (Dec. 15) near a Shiite parade near al-Muthanna police station in Zayouna region, eastern Baghdad, injuring three civilians,” the source told Aswat al-Iraq news agency. #2: Three civilians have been wounded in an explosive charge blast against a Shiite procession in Baghdad, security source said non Thursday. 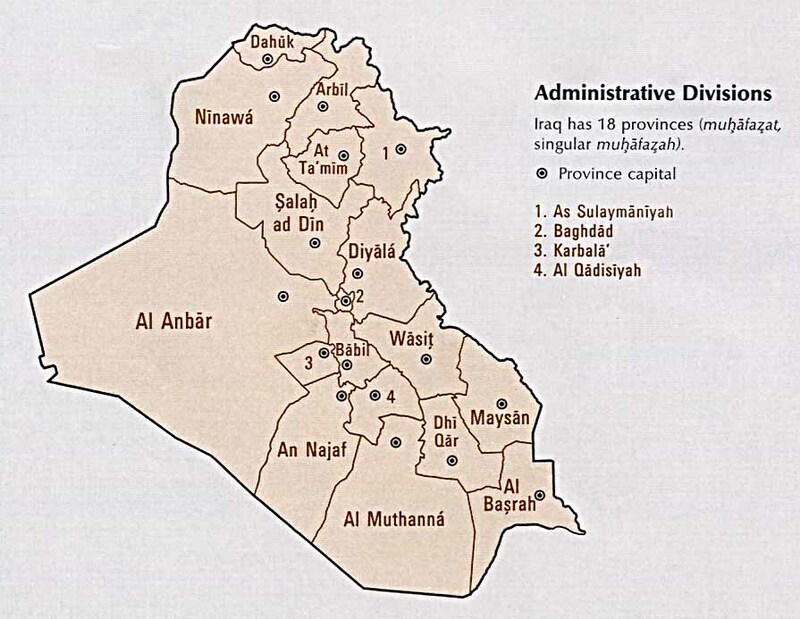 #1: In Diyala, the Iraqi security forces raided two houses in northern and southern the provincial capital city of Baquba, some 65 km northeast of Baghdad, arresting two women who confessed they had been prepared to carry out suicide attacks against processions of Shiite pilgrims in the city, a provincial security source told Xinhua on condition of anonymity. #1: Five Katyusha rockets hit the U.S. Delta base in western Kut on Thursday, according to a security source. “Unknown gunmen fired five Katyusha rockets toward the U.S. Delta base in western Kut,” the source told Aswat al-Iraq news agency. The U.S. army asserted that no rocket landed inside the base, pointing out that the rockets may landed outside the base. #1: One police officer and seven civilians were wounded Thursday in 10 explosions in south of Tikrit, according to a source from the Salah al-Din Operations Command. “Ten explosive charges went off simultaneously this morning in al-Dujeil district, south of Tikrit, injuring a police major and seven civilians, including a woman and a child,” the source told Aswat al-Iraq news agency. “Security forces managed to defuse six more bombs and imposed a curfew,” the source added. #1: Fourteen civilians were killed when a roadside bomb hit a minibus in Afghanistan remote west on Thursday, a spokesman for the local governor said, many of them members of the same family. "The military forces have reached the site and they say that 14 people have been killed and four wounded," Shafiq Behroozyan, a spokesman for the governor of western Herat province, told Reuters. #2: Earlier, a Nato air strike in the southern province of Helmand killed four Afghan soldiers who were mistaken for militants, Afghan officials said. A mistaken airstrike in Afghanistan by NATO-led coalition forces killed four members of the Afghan National Army, a local official said Thursday. The airstrike was in the Musa Qala district in Helmand province Wednesday, said Daud Ahmadi, a spokesman for the provincial governor. NATO is reporting the death of an ISAF soldier from an IED blast in an undisclosed location in southern Afghanistan onWednesday, December 15th. #1: The deadliest blast struck in the western Baghdad neighborhood of Ghazaliyah, on a road that pilgrims frequently travel to get to the Shia holy city of Karbala. Three pilgrims were killed and 17 were wounded in that attack, police and hospital officials said. Shia pilgrims from across Iraq are headed to Karbala for Ashoura. In western Baghdad's Ghazaliya neighborhood a roadside bomb detonated near a gathering of pilgrims killing at least 10 and wounding 21 others, an Interior Ministry official said. #2: At least three civilians have been injured, among them a Sunni Endowment Department staff, in an explosive charge blast that pinpointed a Department vehicle in north Baghdad’s Aadhamiya district on Wednesday, a security source said. “An explosive charge, planted by unknown gunmen on the roadside in north Baghdad’s Aadhamiya district, blew off when a car belonging to the Sunni Endowment Department passed through the road, wounding three civilians, among them an Endowment staff, and causing damage to an Endowment vehicle,” the security source told Aswat al-Iraq news agency. #1: An hour later, another bomb hit pilgrims marching in Khalis, a former al-Qaida stronghold about 80 kilometers north of Baghdad. Authorities said 14 were wounded. #1: Nine Security elements were wounded Tuesday in armed clashes with a tribe in northern Thi-Qar, according to a security source. 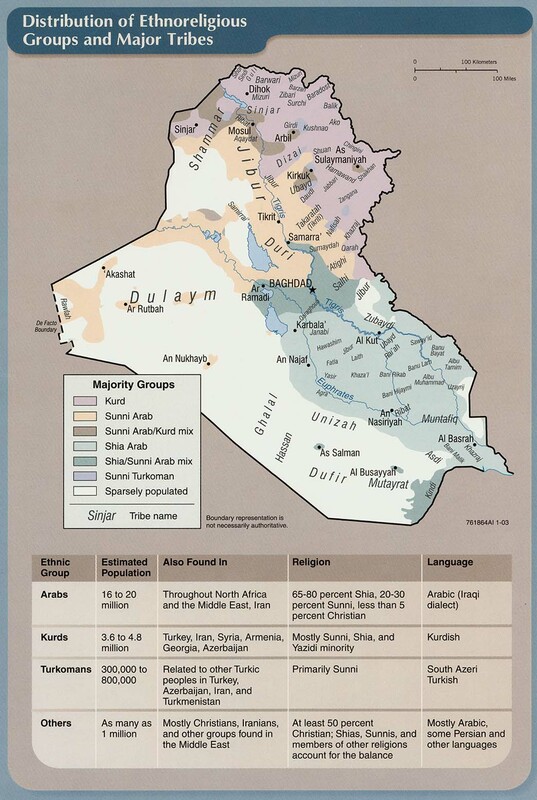 “Armed clashes flared up in Thi-Qar between security elements and a tribe, during which nine security elements, including three officers, were wounded,” the source told Aswat al-Iraq news agency. “The forces arrested 12 tribal men after the clashes,” he added. #1: Separately, a roadside bomb in the northern city of Kirkuk killed one passer-by and wounded two others, city police and hospital officials said. #1: A Christian female student had been abducted by a group of armed men east of north Iraq’s city of Mosul on Tuesday, a Mosul security source said. #1: An Afghan civilian was accidentally killed in a coalition airstrike. The aircraft was providing backup to Afghan and coalition forces that came under fire during a patrol in Marja in Helmand province. #2: In Kandahar province on Wednesday, three Afghan civilians were killed and nine others, including two children and a police officer, were seriously wounded, by a vehicle bombing. The incident occurred in the province's Kandahar district. #3: Pakistani helicopter gunships attacked three suspected militant hideouts in the northwestern tribal region of Orakzai on Wednesday, killing six insurgents, security officials in the region said. There was no confirmation of the account and militants often dispute official accounts. DoD: Cpl. Willie A. McLawhorn Jr.
DoD: Spc. Kenneth E. Necochea Jr. The DoD is reporting a new death unreported by the military. Spc. Ethan L. Goncalo died from a non-combat related incident in Kabul, Afghanistan on Saturday, December 11th. NATO is reporting the death of an ISAF soldier from an IED blast in an undisclosed location in southern Afghanistan on Tuesday, December 14th. #1-2: nine other Shiite pilgrims were wounded in two separate attacks in Baghdad, an Interior Ministry official said. Five pilgrims were wounded when a mortar struck their procession in southeastern Baghdad, while four others were hurt in a roadside bombing, according to the official. Five civilians were wounded in a mortar shell attack in east of Baghdad on Monday, according to a security source. “The shell hit a Shiite gathering in Mahalt 729 in al-Mashtal region, east of Baghdad, injuring five civilians,” the source told Aswat al-Iraq news agency. An explosive charge, planted by unknown gunmen in a civilian car, blew up in southern Baghdad’s Assyrian area in Daura district, wounding four civilians, who were driven to west Baghdad’s al-Yarmouk Hospital for treatment,” the security source told Aswat al-Iraq news agency. #3: Three persons were wounded Monday in an improvised explosive device blast in Baghdad, according to a security source. “The bomb exploded in al-Atiefiya region near Bratha mosque, northern Baghdad, injuring two guards and a civilian,” the source told Aswat al-Iraq news agency. #4: The same source also said that a bullet-riddled body of a man in his 40s was found in al-Amel district, southwest of Baghdad, but gave no further details. #1: At least four people were killed and 17 were wounded in a suicide bombing north of Baghdad on Monday, according to Iraq's Interior Ministry. The suicide bomber struck a group of Shiites in the town of Balad Ruz, just east of Baquba, said Maj. Ghaleb al-Atiya, police spokesman in Diyala province. #1: A man and his wife were killed and his son was wounded in a bomb explosion in northern Babel, a police source said on Monday. “An improvised explosive device went off on Monday (Dec. 13) near a civilian’s house in Ajbela region, northeast of Hilla, killing the house’s owner and his wife and injuring his son and damaging the house,” the source told Aswat al-Iraq news agency. #1: The U.S. Army base in southern Iraq’s Diwaniya city had become target for a two Katyusha rockets attack on Monday night. Thick smoke was seen coming from the base, according to an Iraqi military source on Tuesday. “The two rockets fell on Monday night on the U.S. Echo Army base, 3 km to the west of Diwaniya, causing the rise of heavy smoke from the base,” the military source, who spoke under anonymity, told Aswat al-Iraq news agency, adding that U.S. choppers flew over the area after the attack. He said the rockets were launched from Shafi’iya village, 8 km to the west of Diwaniya. The area was cordoned off by security forces following the attack. #1: Gunmen opened fire on a police checkpoint in the centre of Mosul, 390 km (240 miles) north of Baghdad, and two of the gunmen were wounded when armed citizens returned fire, police said. #1: The Danish army says a bomb blast has seriously injured one of its soldiers in southern Afghanistan. The roadside bomb wounded a member of an infantry unit while he was on patrol near Gereshk on Tuesday. He was airlifted to a Danish field hospital and underwent surgery. #2: Thirty suspected Taliban militants were killed by Afghan forces and a NATO airstrike in the northern province of Baghlan, the provincial governor said Tuesday. Afghan police and soldiers clashed with a large number of insurgents in Ahmadzai village in Danah-e-Ghori after they began a 'clearing operation' Monday morning, Munshi Abdul Majeed said. NATO bombed the insurgents, who were entrenched in outer areas of the village, he said, adding that 'at least 30 Taliban fighters were killed in ground fighting and an airstrike.' A rocket fired by NATO aircraft destroyed a school, but there were no immediate claims of civilian casualties, the governor said. #3: A suspected U.S. missile strike killed four militants in a tribal region near the Afghan border on Tuesday, Pakistani intelligence officials said. The missiles hit a vehicle believed to be carrying the four suspected militants from North Waziristan's main town of Miran Shah to Tappi, an area surrounded by mountains, said the two officials. They spoke on condition of anonymity because they were not authorized to speak to the media. #4: Militants killed two Pakistani soldiers and wounded six in an overnight attack on a security post in the northwestern Mohmand region on the Afghan border, a paramilitary force spokesman said. #5: Gunmen attacked a Sufi shrine and shot dead two of its caretakers on the outskirts of Peshawar, police said.